Every week I love to go by my local Target and see what kind of clearance deals they have. On my way home from my daughter’s volleyball game (proud momma syndrome in full effect) I decided to run by Target and see what they had in store. While searching the aisles I found a great deal in the freezer section. The garlic butter pepperoni pizza Lean Pocket family pack (12 sandwiches) was on clearance for $4.98. Original price on these is usually $10 at least. It was the last one and my frugal-senses starting tingling. “I bet I could get a better price on this,” I thought. Of course I can with my handy dandy coupon saving ways! I did not have my coupons with me so I used two apps on my phone that I love for saving money. Shopkick is great! They use gps and wireless to give you points when you walk into certain stores. Usually Target gives about 50 points per walk-in. During your time in the store you can also scan items to get extra points. Now when you have accumulated enough points you can buy gift cards to stores. It doesn’t take long to accumulate points just walk into stores each week and even scan a few items. This extra few minutes in the store each week is worth a great amount of savings. The other app that I love to use is Cartwheel. It is a newer app to me but I am loving it. Cartwheel is exclusively for Target. 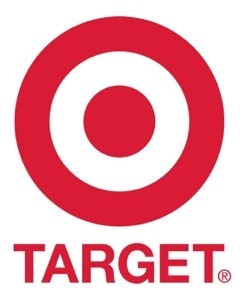 In Cartwheel many everyday items have discounts from 5% – 20% off. You can add items to your cartwheel account and then it generates a scan code for the cashier. The discounts are good for multiple uses until the coupon expires. My husband loves this app because he is an avid movie collector and likes to use the coupons on movies that would otherwise not have any discounts. So after checking both apps I had a $2 gift card on Shopkick and 10% off from Cartwheel. Which ended up costing $2.49 plus tax for the Lean Pocket family pack, YAY! Great deal!